Celtic cross stitch is always fun for all ages. You might have seen those wonderful art pieces made by your mother or your granny. I know this time you want to make it yourself. I know how it feels to make your very first art piece. Celtic cross stitch embroidery is very enchanting and eye catching, making one yourself obviously makes you excited. But did anyone guided you on which fabric you should lay your hands on?? No one?? Oh come on its not a big deal, I can guide you about all the celtic fabrics you can do your cross stitch on. There are many types of cross stitch fabrics available. Aida is the ideal fabric for cross stitch embroideries. It is 100% cotton. Aida is best for the beginners and for those who have eyesight problems and can’t focus on very fine details. Aida has quite bigger and obvious holes in it making it easier to work on. Aida is available in 8, 11, 14, 16 and 18 blocks to 2.5cm (1in). The number of fabric count shows how many holes are there in a standard square of the fabric. 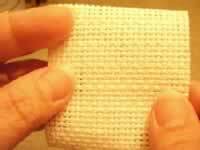 For example 14 count fabrics have 14 holes in 2.5cms square. Aida is available in many colors and can even be dyed into any color of your choice. Equally famous like Aida. Linen is further divided into many varieties. It has more hole count than Aida that is the reason that it is a little more difficult for the beginners to start with. The linen fabric generally comes in 24 to 36 hole count. This makes almost the double of the Aida fabric. Linen has natural irregularities. This gives the celtic embroidery an extra special touch of its own. Linen comes in a whole range of colors. 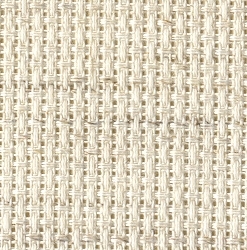 · Zweigart Linda: This is also a form of even weave linen. It is a combination of Cotton with Synthetic fibres. This makes it a relatively long lifer and easy to use fabric. Therefore it is preferred for projects like baby clothes and bed linens, napkins etc. · Belfast and Cashel linens: These linens are relatively more softer and have more flow in the fabric, making them ideal for a piece of clothing you desire as your next birthday dress! There is another option for cross stitch apart from the fabric. This is called a stitching paper. Usually used by kids for their easy celtic cross stitch projects.  This stitching paper is punched or perforated. It can be folded and glued, so ideal for making cards, bookmarks, needle cases, gloves and handkerchief boxes, notebook and file covers, lampshades and wall decorations. Victorians were famous for doing cross stitch embroideries on the paper.